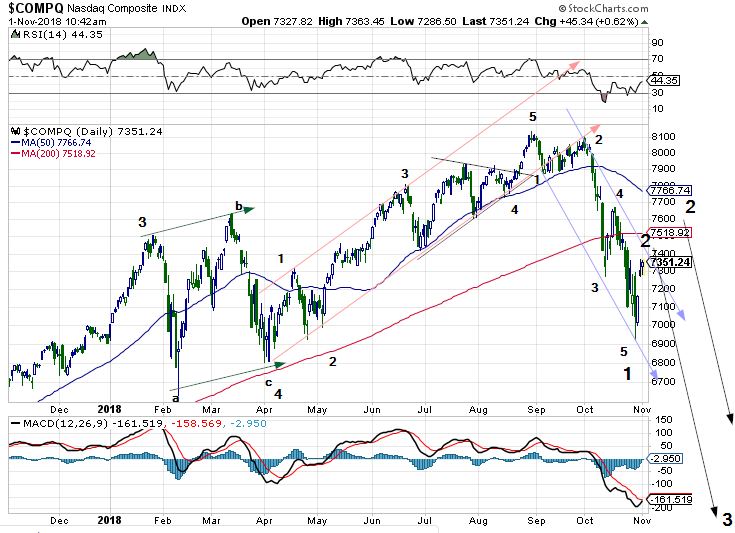 Back in April the Nasdaq had a very clear corrective signature and despite having expected a peak a little earlier this has worked out just fine so far. 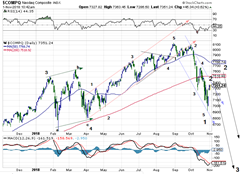 We now (this chart is a day old due to technical problems) have a fairly clear 5 waves down. Once this 2nd wave countertrend is over we should roll into the third wave of some degree which should be quite dramatic. We will see.